Description: Label only, Oval cure medicine put up by T.S. 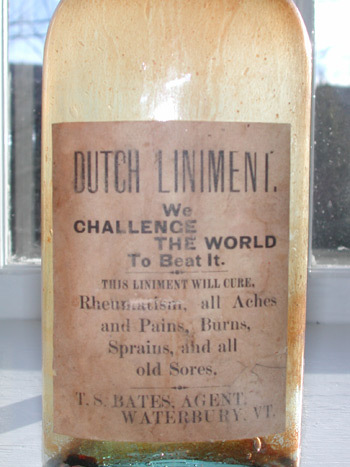 Bates druggist and pharmacist of Waterbury, Vermont. I found reference to T.S. Bates in Patent registry from 1881, in reference to pruning device. Oval, tapered collar. Label 100% intact. American C. 1880.
have not attempted to clean yet.